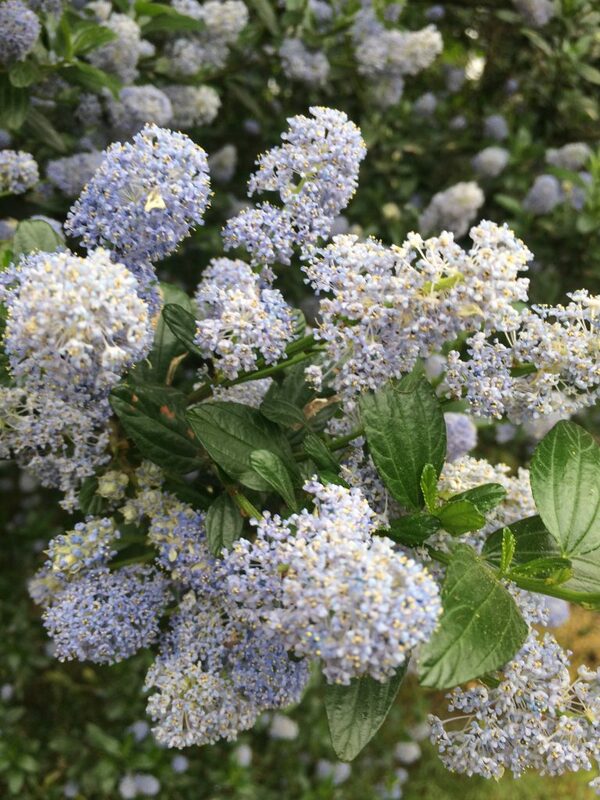 A selection of Coast Blue Blossom or Ceanothus thyrsiflorus that we made very far inland from its natural range in SW Oregon. Typically relegated to the coastal strip we found this variety more than 35 miles inland. This improves cold hardiness. A rapidly growing shrub/tree to 16′ tall and 8′ wide in 7 years. Robin’s egg blue flowers smother the whole plant in May. Extremely drought tolerant this fast grower may be either used as a cool, evergreen, native, blue flowered tree or it may be pruned aggressively after blooming to limit the size- increase density create a screen or hedge. Loved by honey bees and all pollinators in general. No summer water once established. Excellent background tree that delights in bloom but fades to a green screen the rest of the year. 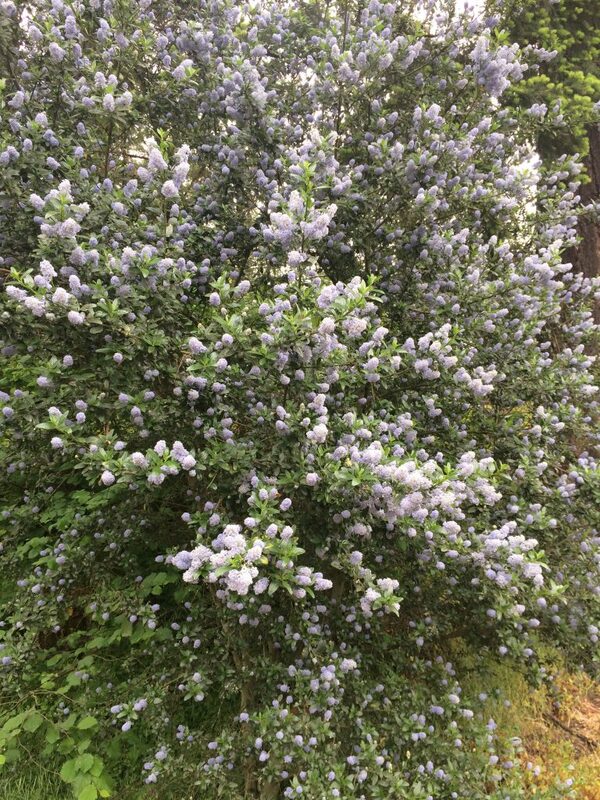 Plant with other drought tolerant plants- Arctostaphylos, Cistus, etc. Grows 3′-4′ per year when established. The flowers are a soothing blue- which is hard to capture in photographs. The effect in bloom is a blue cloud. Takes partial shade and the worst soils. Oregon native plant.